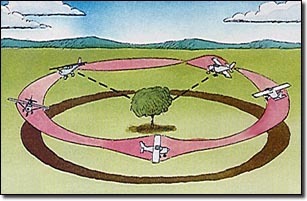 "As advertised, the airplane really takes off with only 100 feet of runway and is maneuverable and a joy to fly!" Five years ago I retired and had always wanted to build my own airplane. August of this year I finally completed my project and have started flying off my test time. Although I have only put 3 hours on it (I got called out of retirement for a brief time) I am having the most fun I have ever had in a long long time. Thank you and everyone at Zenith for me for the outstand support you have provided to me. The 701 is a great airplane and easy to build. PS. I guess I’ll have to start thinking about a 750 next. 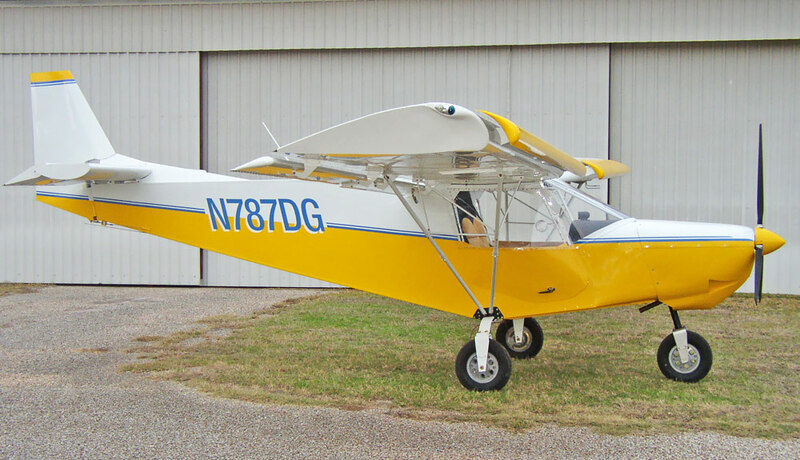 "After a year of research on STOL aircraft, I decided on the ZENITH STOL CH 701. 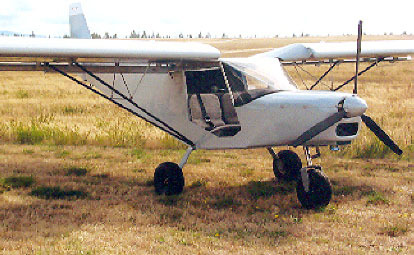 The "SkyJeep," with the heavy gear and tundra tires has proven it can handle any grass strip (or most of the farm fields). It has a Rotax 912 with a 3-blade Warp Drive prop. The 701 was built for personal use but it also serves as a law enforcement search & rescue vehicle. With 70 hours TTSN, the aircraft has certainly met all our expectations. Some additions included: Full Lexan doors to increase visibility, GPS, and an improved cabin heating system. 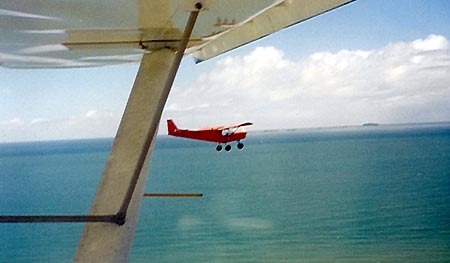 With its slow flight capability the plane is an excellent observation platform." I purchased the kit for my Zenith is September 2003 and made the first flight on July 2004. I found the kit to be 100 percent complete and was 100 percent satisfied by the building instructions. The airplane performs as advertised. The plane flies unbelievably well. The shortest take off on skis, with no wind, pilot only, was 25 feet! Thanks again for the great airplane and the unbelievable support you have always offered me. I purchased the Zenith STOL CH 701 kit in November, 2002. The airworthy certificate was issued April 9, 2003. The 701 is powered by a 912S. The first flight of this airplane went really well. Cruise at 75% power is 85 mph. Climb rate is 1200 to 1500 feet per minute. Empty weight of the 701 is 595 pounds. After many years of thinking about building an airplane, I finally decided to build a STOL CH 701. I picked up the kit at Zenith's Mexico, Missouri location on June 12, 2002. I finished building the plane on June 3, 2003. Building this aircraft has been one of the most rewarding projects I have ever done. The kit was complete and the people at Zenith were always available to talk with whenever I had a question. 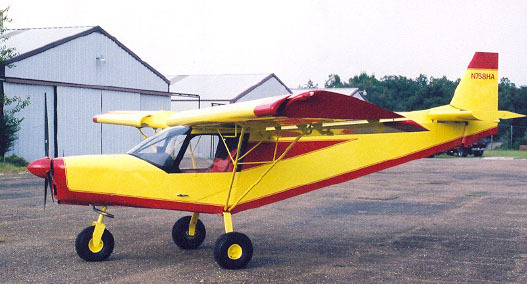 I would recommend the kit to anyone interested in a STOL design. A Jabiru 3300 engine powers my plane. This is my second homebuilt project. 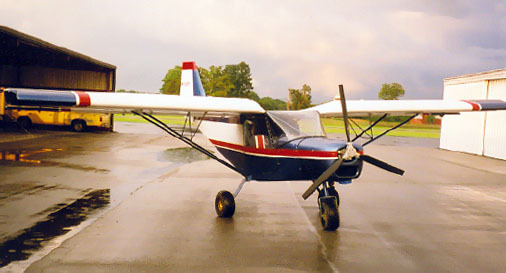 The first was a Glasair, completed in 1988 which won an Outstanding Workmanship Trophy at the EAA Oshkosh Fly-In, 1989. Having very little use for a little hot-rod airplane, and considering the investment, we sold it after a few years and I never thought I'd build again. But the bug bit! 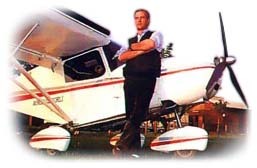 My wife and I attended the Zenith Aircraft "workshop" (sure a help for a new builder) at Mexico, Missouri, March 2002 and we hauled my kit home to Idabel, Oklahoma. I started construction on my 78th birthday, March 25, 2002. I did the maiden flight on September 10, 2003. I used the Rotax 912S engine and it takes off like a rocket! The first flight was uneventful but exciting, and I enjoy it more each time I fly! I'm looking forword to flying it to Airventure Oshkosh '04. This is my new STOL CH 701. Special thanks to Chris Heintz for a wonderful flying machine. Kostas Rossidis, A340 Olympic Airways pilot. 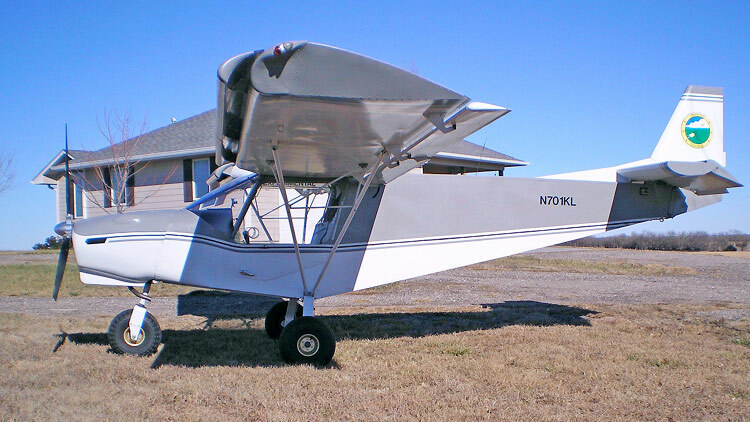 "I chose the STOL CH 701 because of its type of construction. Originally I was going to build the ZODIAC CH 601, but after seeing the 701 in the demo video I decided on the 701 as I had room for a landing strip on the north side of our house. I built the aircraft from plans. "My favorite things about this plane is its take-off performance and in-flight visibility with the lexan doors. "I really enjoy my GREAT little CH 701 -- what a joy to fly. "Potential builders: Don't over-complicate the project by turning it into something it isn't designed to do or be: i.e. lines and speed of a Lear jet." 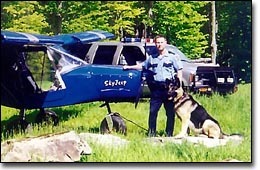 Fritz Gurschick, Turner, Maine, (52 years old, retired from the U.S. Air Force - have a commercial license with multi-engine and instrument rating, however, I only fly my CH 701 and do no commercial flying). This is my Flying Cow. It is my third airplane, and it is the best one yet. It is powered by a 100-hp Rotax 912S turning a 3-blade SportProp 68" propeller. The plane flies great, and it is extremely easy to fly. It cruises at 92 mph, and power-off stall with full flaps is at 30 mph. The Zenith factory is very professional, and the staff was always helpful and friendly. The cow-like paint is because I felt the airplane is so strange that the paint should be as well. It is much more aerodynamically clean than it appears to be. It is a great plane for STOL lovers because it really delivers. "I got to fly the 701 this week during a rather strong storm and it was an amazing plane. It handled the weather no problem at all I am very interested in being able to obtain one for my work as a minister. You have done a great job. It is a dream to fly and performs amazingly. I love it. "I have been doing some pretty solid research and took a trip to the South Island of New Zealand to check out the CH 701 under construction in Hokitika (49% kit) as well as a CH 701 flying in NZ which is in Blenheim. I flew that one, ZK-ZCH which is powered by a Rotax 618. It vacates planet Earth like a cork out of a champagne bottle! I was amazed at the smoothness and harmony of the controls. The good news for me, and Zenair I guess, is that the guys building the CH 701 in Hokitika are enjoying the construction so much they have agreed to sell me their current project as soon as it is complete and then will start on one each for themselves. They will probably settle on a CH 601 for doing longer distance commuting, and a CH 701. Thanks again for your assistance and no doubt you will be hearing from them in the not too distant future as they order a couple more kits." 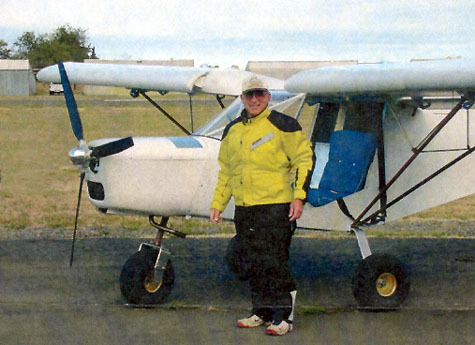 "Here's a picture of my STOL CH 701, powered by a Rotax 912, which gives it plenty of power. I only have 10 hours flying time so far but it is working very well. Dad and son are in the picture - can you tell which is which? I really had good support from Zenith Aircraft during construction ...keep up the good work." 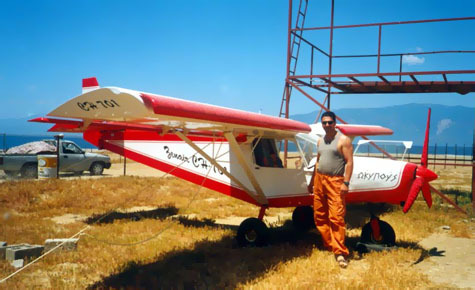 "I chose the STOL CH 701 because it beats the competition: all-metal, short-field and high altitude performance, strength. Kit quality and ease of construction are excellent. A great way to top off my flying career - to build and fly my very own airplane." "I am delighted with my STOL CH 701. It performs exactly as predicted and the Rotax 912 is smooth and quiet. "It has taken 7 months to build and every step of the way it has been most enjoyable." "The drawings and kit were both great - I had no trouble putting the aircraft together. Factory support has been and continues to be far beyond what they have to do. This is the most fun aircraft I have ever flown." "I now have more than 20 hours of flight time on my STOL CH 701... 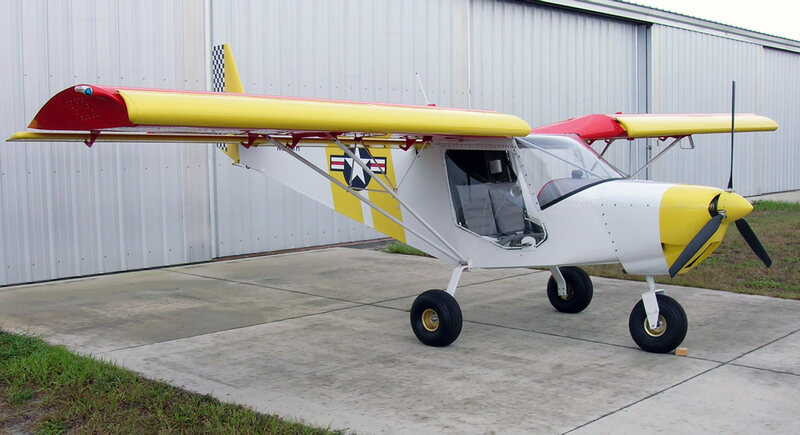 It's STOL flying characteristics are truly amazing...I am planning on flying to Oshkosh with it..."
I have recently finished scratch-building a STOL CH 701 aircraft. Thank you for a lovely and capable aircraft. It does all you say, and I believe it will become a very popular aircraft in Australia. I praise your aircraft every chance I can. "It has been a lot of fun to build. It was made more interesting because the building period also included getting my private pilot license. " I've just completed 8 hours of training on a STOL CH 701 in Thailand and was most impressed. It was part of my ultralight training which I started here in Abu Dhabi, United Arab Emirates. Due to the nature of flying in the Emirates, I have flown the following aircraft during my training: Aeroprakt 22, Cessna 182 and an Ikarus C42. I therefore feel qualified to make comparisons. The STOL CH 701 is without a doubt the most satisfying, even with my lack of experience. I'd seen the video, but was unconvinced until I flew one - it's something else! It's great fun to fly. Thanks for producing such sensible aircraft. Factory support: "10: You guys have been great." 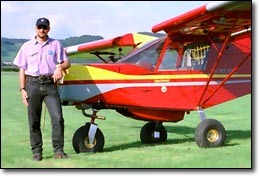 "I chose to build this aircraft because of the excellent short take-off and landing performance. I am particularly pleased with this project because the information and drawings from the factory have been great." "The building instructions are explicit and the company is knowledgeable and very professional. The kit is easier to build than many others, and the quality is excellent. We bought the kit based on specs, before we'd ever flown in one! When we did get a demo flight we were duly impressed." "Thanks to this aircraft, I've made the most spectacular flights in my life in France as well as in Spain and to the borders of Switzerland and Italy. 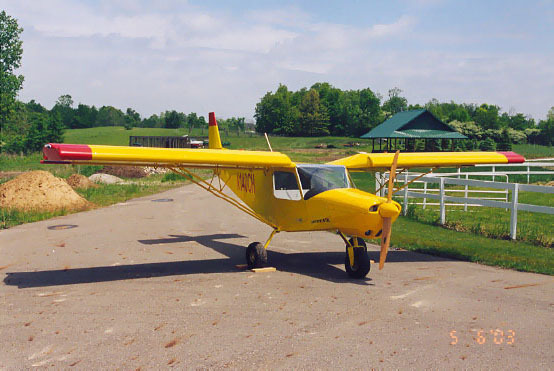 "I fly the STOL CH 701 from my small private grass strip: 80 meters long with a 14-degree slope. The mountains make for difficult wind conditions - a lot of crosswinds, and sometimes tailwinds for landings and take-offs. 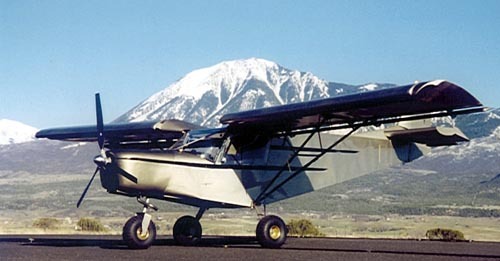 As a mountain pilot, I really appreciate the safety of the STOL CH 701. Full-flap approaches are great fun and a fantastic safety feature, allowing me to land in 15 to 20 meters (and oftentimes less). Everyone I've flown with from this challenging grass strip has been astounded by the qualities of the STOL CH 701." �ric Soul� De Lafont of Saint-Gaudens, France. "Construction is very straight forward, with a very minimum of special tools, forms and jigs. I chose this aircraft because of the design specs, STOL performance, payload, and all-metal construction... also easy to fly and maintain." "Factory support is excellent. Visits to the factory are a real pleasure. The STOL CH 701 is the most responsive and fun aircraft I have ever flown. Building from scratch is fairly easy, but one has to have access to a shear and bending brake." "Just took my first lesson in a 701 Sunday and it was great! It was through Simdel Flight Academy here in Delhi, Ontario. He has two 701s that he uses for instruction. Just wanted to say what a pleasure it was! I landed the plane myself during my first lesson!" "The kit is very complete, and so far everything has come together fairly easily. I love to fly; I like to build things; I hate fixing things. That's why an all-metal design appeals to me for its inherent low maintenance." 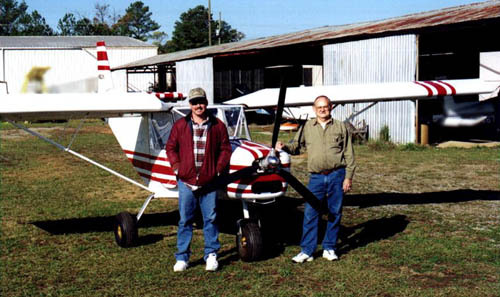 I took delivery of a Zenith CH 701 STOL kit on January 28, 2003. Inspected on August 6,2003. And flying on August 9, 2003. Quite a contrast from a Lancair 320 that took me three years to build (1992-1995). Now I have two airplanes at the opposite end of the proverbial envelope. "I have never worked with aluminum before but find it very easy to work with. Builder support is excellent, and my demo flight was outstanding! I can't wait to enjoy mine when it's finished - I will have a plane that is capable of performance no other light plane can match." The above are selected and condensed responses from builder letters, builder surveys and other sources. The information published above will not be representative of all builders' aircraft building and flying experiences.